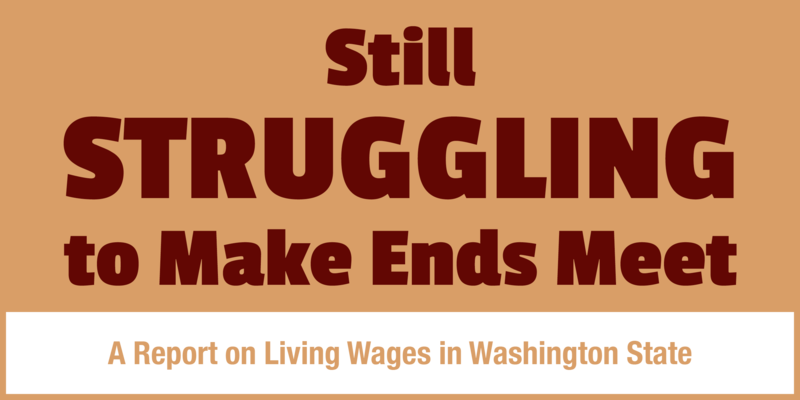 Workers across the country face difficulties making ends meet; the same is true in Washington State. 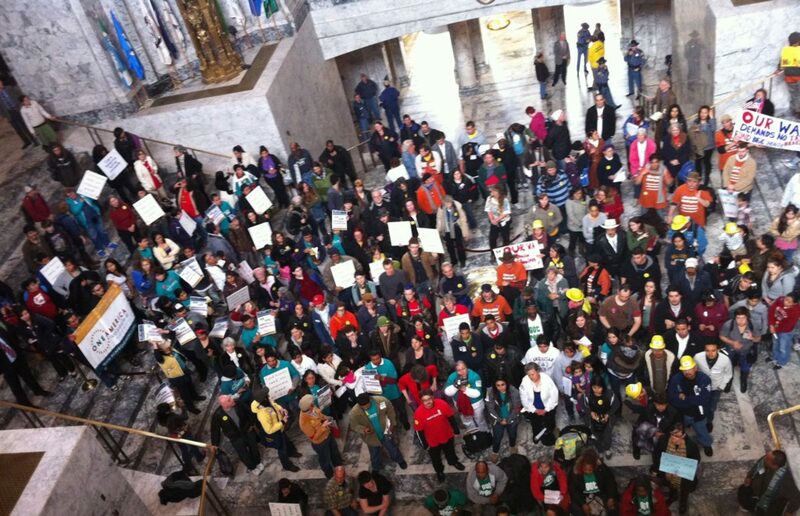 Two years ago, in an attempt to help the minimum wage keep pace with increased cost of living, voters in Washington State approved Initiative 1433. While that provided a much-need- ed boost to the state’s minimum wage, workers and their families continue to struggle with a wage that doesn’t allow them to meet all of their needs. While Initiative 1433 has increased the minimum wage faster than would have occurred with previous inflation-based adjustments, the state minimum wage still falls short of a living wage. A living wage is the amount a full-time worker must be paid in order to make ends meet, including setting aside money for emergencies and for some savings. In Washington State, the statewide living wage for a single adult is $17.85 per hour, or $37,123.06 per year, far exceeding the current state minimum wage of $11.50. A worker with no dependents who is paid minimum wage must work 62.1 hours per week to make ends meet. For working families with children, the cost of living is even greater. Statewide, a single adult with two children must be paid $34.90 per hour or more to make ends meet. Even in a two-parent family with two children, where both parents are working, each parent needs to be paid at least $22.06 per hour to meet all of their family’s needs. Shark Week 2016 – We’re going to need a bigger boat! It’s Shark Week! While ocean going sharks will be in the spotlight, it’s the predatory payday loan sharks that are the real danger in our neighborhoods. This year, we’ve got a chance to build a lifeboat to keep our families out of harm’s way with new proposed rules from the Consumer Financial Protection Bureau. The only problem is that the boat is full of holes, and a leaky boat won’t keep the loan sharks at bay. This Shark Week, demand the CFPB plug the leaks in their proposed rule. The business model of payday and car title loan sharks is to keep people trapped in endless cycles of debt. These sharks rely on direct access to borrowers’ checking accounts and holding the title to your car to get paid first. That’s the definition of predatory. The CFPB rules must truly dismantle the debt trap by letting payday lenders make a loan only when they have made sure the borrower can afford to pay it back. Right now the CFPB proposed rules don’t guarantee that. They need to hear from you. 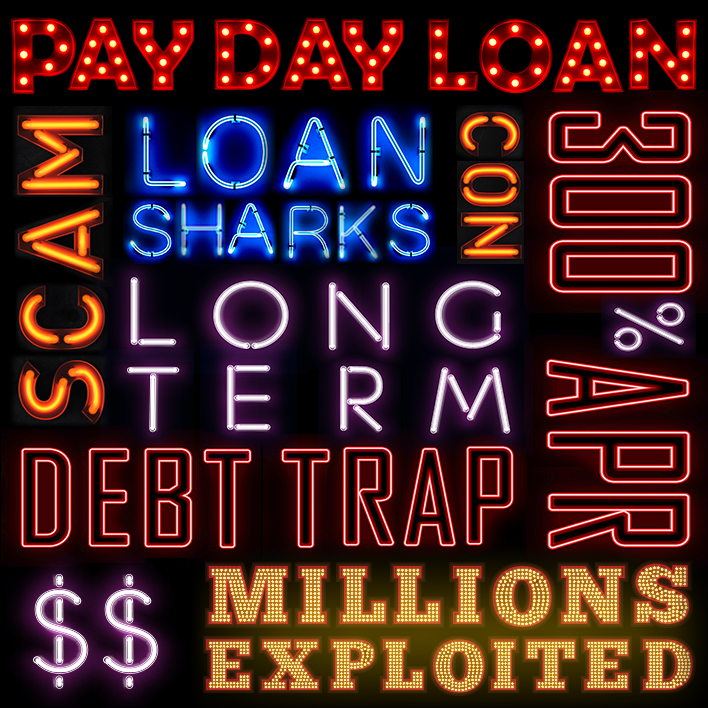 Tell the the CFPB to plug the holes in their proposed rule so our communities are safe from predatory payday loan sharks who put profits over people. 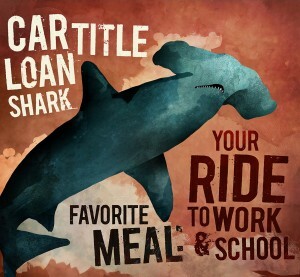 This #Sharkweek, let’s make sure we come out ahead of the loan sharks. On June 2, in Kansas City, MO the Consumer Financial Protection Bureau (CFPB) will finally release their proposed rules for the payday loan industry. We’ve been fighting for this day for years and are thrilled it’s arrived. But this isn’t the end of the fight. It’s another beginning. Community and faith leaders from across the country will be moving to action on June 2, in Kansas City and at home, to make our voices heard. We need a strong rule that shuts down the payday debt trap once and for all and we’re going to fight to make sure we get it. Join us by making a comment to the CFPB in support of a strong rule! The CFPB will be opening a public comment period when they release the rules and we’ll need everyone’s voice to be heard. Check back on June 2nd for ways that you can submit your own comment to the CFPB and connect with groups working on the ground to be sure that we have a rule that doesn’t let the loan sharks continue to prey on our communities. Every day, payday and car title lenders drain $23,951,459 out of the pockets of hard-working Americans with predatory lending practices. That’s over $8.7 billion every year and that doesn’t include predatory installment lending or capture every loan. The Consumer Financial Protection Bureau (CFPB) started the process of rulemaking in March of 2015 – we can’t wait anymore. We need a strong rule that puts a stop to the debt trap now. From payday storefronts to car title lenders to online & installment lenders, predatory lenders take billions in fees every year by trapping customers in a desperate cycle of debt. Payday loans average 300% APR or higher, and online payday loans average over 650% APR. 94% of all borrowers take out another loan within a month and more than half take out a new loan the SAME DAY their old loan was due. Last year, NPA and our affiliates organized and got the big banks OUT of the business of ripping off their own customers through checking account payday loans. Now we are focused on cleaning up the rest of the industry to stop the worst of the abuses through an upcoming rule-making from the Consumer Financial Protection Bureau. For the first time in history, Congress has given a federal agency the authority to uniformly regulate small-dollar consumer loans: the payday, installment and related loan industries that strip billions in wealth from our communities and trap our families and neighbors in endless debt. Created by the Dodd-Frank Wall Street Accountability Act, the Consumer Financial Protection Bureau (CFPB) was given the authority to regulate non-bank financial institutions, including the small dollar loan industry. We are demanding that the CFPB issue rules that are both strong enough to end the debt trap and broad enough to cover all the industry. Join us in calling for strong, common sense rules that level the playing field for responsible small dollar lenders and that will stop the stripping of wealth from our families and neighbors. 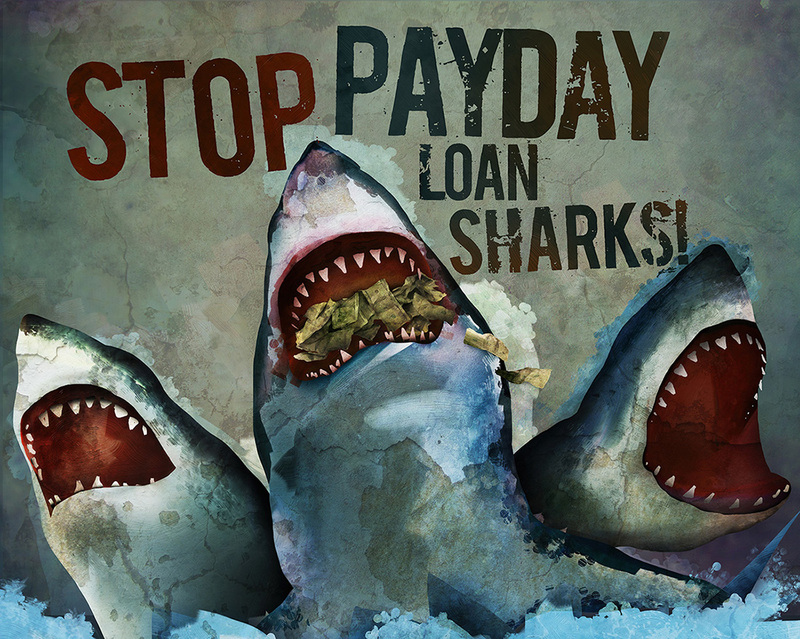 Want to learn more about the vicious payday loan sharks preying on our communities? Check out the Shark Week 2015 page from our partners at National People’s Action and the Preyday Lenders page from more info. This opinion piece by Libero Della Piana was written for OtherWords and appeared in Truthout. At 36, Marcus White has spent half of his life in prison. Today he’s no longer behind bars, but now he’s imprisoned by something else: debt. When White was sentenced, he was saddled with $5,800 in criminal fines and fees. By the time he was released, he was stunned to learn that with interest, his debt had grown to $15,000 — and continues to grow even now. That debt isn’t just a drag on White’s finances. It’s a drag on his right to vote. White’s not alone. More than 50 years after the 24th Amendment made poll taxes unconstitutional in the United States, formerly incarcerated people in at least 30 states are still barred from voting because they’re unable to fully pay their court-related fines and fees. 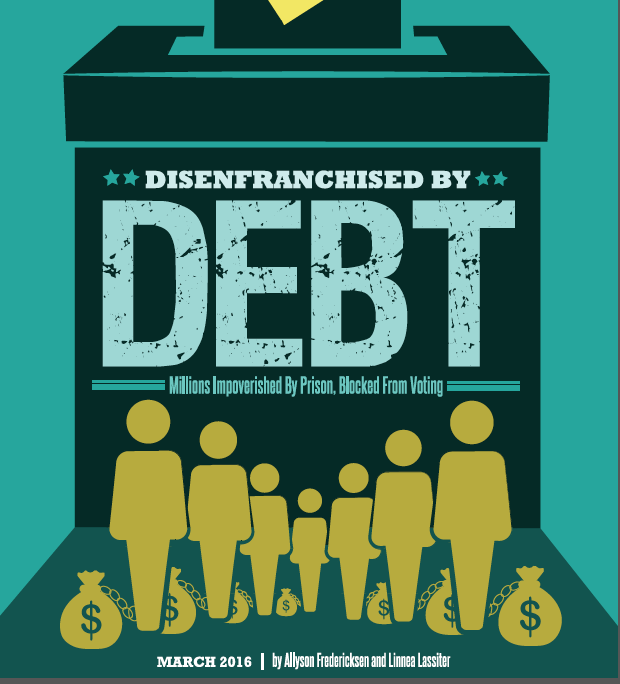 New research by my organization, the Alliance for a Just Society, shows that millions of people — including an estimated 1.5 million African Americans — are blocked from voting because they can’t afford their criminal debt. That debt starts at sentencing and can grow at interest rates of 12 percent or more while inmates serve their sentences. It continues to grow after they’re released and face the numerous barriers to finding work and housing. Some states explicitly require that all court-imposed fees are paid before voting rights are restored. Others are more indirect, requiring the completion of probation or parole — with the payment of fees and fines a condition of completing parole. The laws vary, but the effects are the same. On the other hand, former offenders with wealthier family or friends, or a savings account, are able to quickly regain their voting rights. The result is a two-tiered system that restores voting rights to an affluent elite and leaves the rest — the majority, in fact — without a vote. The reality of racism in the United States and the criminalization of poverty means that black people and other people of color are more likely to be arrested, convicted, and locked up for longer than whites. Blacks are also less likely to regain their right to vote once they’re released. That racial disparity bears a grim resemblance to the poll taxes imposed throughout the South after the Civil War, which were intended to keep newly freed black people from exercising their civil rights. The problem has worsened since 2013, when the Supreme Court gutted the Voting Rights Act of 1965. Many states — including several in the old Confederacy — have since rushed to impose restrictive voter ID laws and other impediments to voting. But debt as a barrier to voting remains a little-known reality. The clearest solution is to automatically restore voting rights to formerly incarcerated people, and to register everyone immediately after they complete their sentence. Alternately, lawmakers could repeal all criminal disenfranchisement. Short of that, states should simply remove the payment of court debts as a condition for voting. Many of us take voting for granted, especially in a presidential election year. Voting means having a say in the policies that affect your life and community. It’s an opportunity to elect those who will represent your values. Voting is actively participating in a better future. Voting is hope. And the ability to pay should never be a requirement for that. LeeAnn Hall: What’s at Stake in the Supreme Court Today? Today the Supreme Court is hearing arguments in United States v. Texas, the case that will decide whether President Obama’s 2014 executive actions on immigration were constitutional. What’s at stake? Millions of immigrants and their families could see relief and move forward with their lives free from the fear of deportation if the Supreme Court shows moral leadership and allows the President’s immigration actions to go ahead. The Alliance for a Just Society is joining with National People’s Action today in a promise to keep fighting for immigration relief so that all families can stay together. We will keep fighting against the politics of hate. Will you join us and pledge to fight for families? Take the I Will Fight for Families Pledge and we’ll keep you updated on what happens in the Supreme Court and ways you can take action to help keep families together. Thousands of people are rallying, fasting, and taking action today to tell the Supreme Court to do the right thing and allow the Deferred Action for Parents of Americans (DAPA) and expanded Deferred Action for Childhood Arrivals (DACA) to proceed. Texas and 25 other states sued the federal government over the executive actions. The relief programs have been stalled in the courts ever since, stopping millions of undocumented parents of U.S. citizens from applying to receive work permits and gain temporary protection from deportation. We expect to hear a Supreme Court decision in June. Join us to fight for families inside and outside the courts. Sign our pledge and we’ll keep you informed. We will continue to defend the President’s immigration initiatives, we will fight for lasting immigration reform, a pathway to citizenship, and to keep families together. “The Alliance for a Just Society and National People’s Action applaud the Fair Housing Finance Agency (FHFA) for beginning to provide relief to thousands of families trapped in underwater mortgages. These homeowners were left owing more than their houses were worth when the housing market crashed almost ten years ago due to the reckless behavior of the country’s big banks. Since the crash, the Alliance for a Just Society, National People’s Action, their affiliates and allies have mobilized families around the country to call on the FHFA to provide justice for homeowners left in the lurch. Because of these efforts, FHFA is now making principal reduction available to approximately 33,000 homeowners, helping them get back on their feet and assisting communities struggling to recover from the ongoing devastation of the financial crisis. National People’s Action is a network of 29 grassroots organizations in 18 states working together to advance a racial and economic justice agenda for a new economy and true democracy. Alliance for a Just Society is a national policy, research and organizing network that focuses on social, economic and racial justice. A change in funding at state colleges and universities is starting to change who makes up the student body. In-state students, even with perfect grades and impressive lists of extra-curricular activities, are being passed over in favor of out-of-state students willing to pay three times the tuition. A scathing report last month accused the California State University system of admitting too many out-of-state students, and reducing opportunities for California residents to attend college in their own state. When students move into states and squeeze out local students looking for an affordable education, access to the middle class, and increased opportunities—all promises of a public university – are lost. As college costs and student debt increase, schools nationwide are looking farther and farther away to fill the student body with higher paying out-of-state students to help sustain operations. When colleges look out of state to fund their education, they go against their mission as a public good. Tuition-dependent schools are in essence privatized, relying on students rather than public funding to provide an education. In Oregon, the state legislature, following a national trend since the recession, decreased higher education funding by 33.5 percent between 2008 and 2015. It’s the sixth highest cut in the country. Per student, the state reduced spending 32 percent between 2002 and 2012. Without funding from the state, schools now rely increasingly on tuition for their operating budgets. In 2001, Oregon’s schools received 47 percent of their funding from the state; today the state provides 19 percent. To make up the difference, schools have shifted their funding from 45 percent from tuition to 73 percent. This year, the University of Oregon’s student body is 35 percent out-of-state students and 14 percent international students. The remaining 51 percent are Oregon residents, much lower than the average of 73 percent at Oregon’s other public universities. It isn’t just that the University of Oregon is so much more appealing to more students outside of Oregon. The University of Oregon needs out-of-state students for its bottom line – out-of-state students pay three times the tuition as Oregonians. Twenty percent of the student body is from California alone. 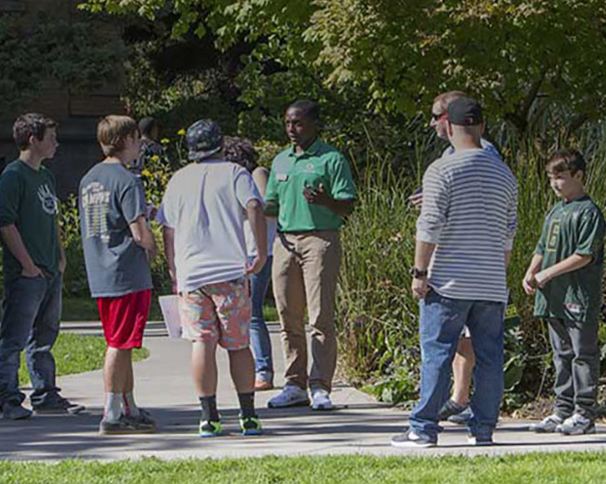 The school hired two full time recruiters based in California to encourage students to come to University of Oregon and pay full tuition. Having more Californians in Eugene is not a problem – the problem, as in California, is that fewer are able to attend college in their home state. Between 2005 and 2009, the share of less lucrative Oregonians making up the freshman classes at the University of Oregon dropped from 79 percent to 59 percent. Oregon and California aren’t alone in this trend. Out-of-state students outnumber in-state students at the University of Alabama, the University of Michigan, and the University of Iowa. As the election season picks up steam, the matter of voting rights is making its way back into the mainstream media. Voters need to have their voices, and their votes counted. However, many of the newest congressional districts have been drawn in a way that limits the voice and voting power of people of color, which has repercussions for our democracy beyond the violation of personal rights. Gerrymandering is the deliberate manipulation of district lines in favor of one party or class. It’s partially to blame for our current political climate. Gerrymandering not only creates extreme polarization and weakens the votes of moderates and minorities, it also reinforces racial stereotyping and housing segregation. Politicians capitalize on this disparity by creating fewer districts with high concentrations of minorities to erode representative power of people of color at both the state and federal level. In a high-stakes election year it’s especially critical to ensure our elections are equally representative and fair. Gerrymandering conflicts with these principals and creates systematic barriers that must be addressed and remedied. While the 1965 Voting Rights Act mandates increased representation for people of color, those in power are using the law it to justify gerrymandering as the only way to maintain racial fairness and representation. The Courts have found this justification faulty. In February, the U.S. Court of Appeals ruled that two districts in North Carolina are unconstitutional based on racial gerrymandering and must be redrawn for the November 2016 elections. While North Carolina’s presidential primary still went forward in March , the congressional primary has been moved to June 7. 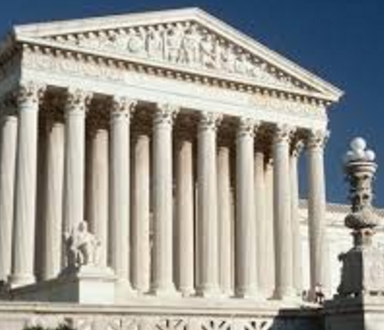 The Supreme Court denied North Carolina’s request for a stay, effectively enforcing the lower court’s ruling to begin the process of redrawing the congressional map. The ruling illustrates the court’s likelihood of following previous decisions, such as those against Alabama and Virginia last year. Those rulings confirmed that most of the districts in those states were blatantly racialized and violated section 5 of the Voting Rights Act – that districts cannot be based on “any predetermined or fixed demographic information.” These rulings were made when Justice Scalia still remained on the Court, and although his death has shifted the dynamics of the bench, it seems likely that the lower courts ruling will be upheld. The effects of gerrymandering are visible and have long-term consequences for our country and the sanctity of our democratic process. Whether it is the gridlock in Congress, the extreme rhetoric from both sides of the aisle, or the lack of political power of people of color already in Congress, the effects are being felt with few options for recourse. The current congressional map makes it difficult for Democrats to regain control of the House, as evidenced in 2012 when Democrats won 1.4 million more votes nationally, yet Republicans won 33 more seats in the House of Representatives. And while all but three of the African-Americans in the House are Democrats, they are bound to stay part of the minority party with fewer high-ranking committee appointments because of their ‘safe’ districts and the tendency for party leaders to “dole out plum assignments and opportunities to carry legislation to members facing competitive elections” All of these are consequences of politicians’ clear conflict of interest when drawing their own district lines. Potential tools to address this issue have been implemented in 23 states in varying degrees across the country. States have established three types of independent commissions. Thirteen states give their commission primary responsibility for drawing new districts, five have an advisory commission that assists the legislature, and five have a backup commission that will make the decision if the legislature is unable to agree. This is a significant step in removing the conflict of interest that fuels gerrymandering. However, it is crucial to be aware of how the commissions are selected and designed to prevent the perpetuation of partisan politics that led us down this path in the first place. Recent court cases have bolstered gerrymandering visibility and outrage, and set precedents for the future. 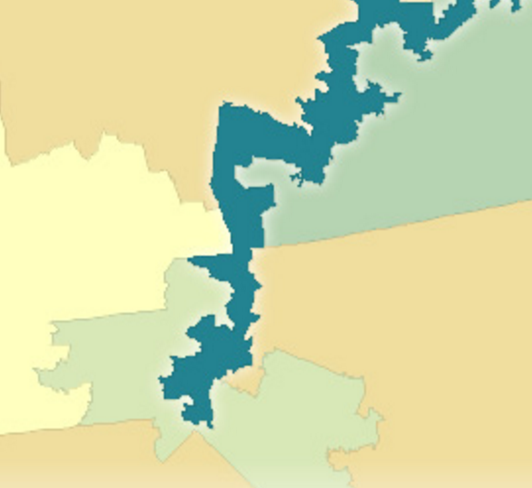 Typically, redistricting occurs after the most recent U.S. Census, which is done every ten years. That means that 2020 will be the next big opportunity for legislators and citizens to stand up and fight for common sense districts that reflect the people who live there and represent the diversity of race, religion, ethnicity, and beliefs within our communities. “Today’s outcome is an important victory for teachers, public service workers, and the communities that benefit from the services they provide. Public service unions will be able to continue helping workers come together in collective bargaining to win better pay, benefits, and work environments. “This challenge to the long-standing precedent supporting fair share fees was sheer nonsense from the beginning. Brought by the rightwing legal shop Center for Individual Rights, the challenge created a bizarre scenario where people who benefit from the union’s bargaining wouldn’t have to pitch in their fair share to support it. It created a ‘free rider’ scenario that defies both basic logic and stated conservative principles. “Public sector unions have won important gains toward gender and racial equity in the workplace and created avenues to the middle class for people who have been shut out and discriminated against, especially people of color. It’s important for this work to continue – thanks to today’s decision, it can. Alliance for a Just Society is a national organization that focuses on social, economic and racial justice issues. The Alliance for a Just Society develops and implements strategic campaigns, education and training, and transformational ideas that advance community leadership and build strong organizations. AJS engages in organizational partnerships — including fiscally sponsoring projects — to promote the public sphere as well as economic, social, and racial justice.